This show was 1st in the global bass chart, 1st in the global trap chart, 1st in the global hip hop chart and 2nd in the global club chart. As an open-format DJ who plays at Hollywood’s hottest clubs and co-founder of the forward-thinking Word Presents party, DJCJ is known for delivering energetic and genre-defying sets. 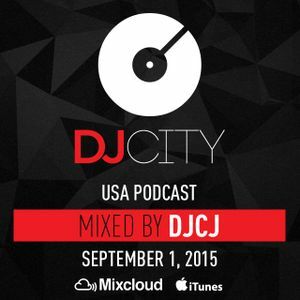 His third mix for the DJcity Podcast reflects that approach, as it features 19 new trap, twerk, and house bangers, some of which are remixes of current hip-hop and R&B hits. It also includes his latest remix. Nice High Energy mix! Boom Ting!